Scientific frauds take place all over the world. Once the news breaks out, a country which holds science in high esteem takes swift and stern action so that the fraud is seen as an individual aberration and not systemic failure. It is disconcerting to note that the exposure of major frauds in Indian science has come from foreigners and not from within the Indian science community. There is no sense of outrage; the reaction is forced rather than spontaneous; and the action is minimal and reluctant. It is as if India likes to dabble in basic science because it is profitable at national and international level; but if any vitiation takes place, it is not our concern because after all it is ‘their’ science. The international prestige of CSIR’s Chandigarh-based Institute of Microbial Technology (IMTech) has taken a severe beating because of the discovery that its scientists have published papers based on fabricated data. Four papers were submitted within a short span of six months, January-July 2013 and published the same year between April and October. They were retracted by the journals on 9 July 2014 on a request by CSIR which had carried out its in-house investigations following a complaint. In the meantime, some other researchers taking these papers at face value cited them in their own work. It is certain that two other 2013 papers are also fraudulent whose retraction is a matter of time. Another publication is a review essay which cites the tainted papers. It is not immediately obvious what impact this has on the review as whole. It will need some serious effort to detox science from the effects of the Chandigarh fraud. The first author in all the cases is a post-doc, Fazlurrahman Khan. Khan obtained his PhD from IMTech and proceeded to Georgia Institute of Technology to work in a lab there. Young men and women after their doctorate routinely go to USA for training. In Khan’s case the knowledge he gained there was not sufficient to advance science but was more than enough for subverting it. His lab professor, Jim Spain, recently recalled : ‘Khan worked in my lab for several months early in 2012 until I strongly suspected he was fabricating data.’ Khan returned to India and obtained a two-year appointment as a Research Associate funded by the central government’s Department of Biotechnology(DBT), choosing to work at IMTech. Spain points out that Khan obtained ideas, results and conclusions from the former’s lab and fabricated data in his host institution to go with them. In this exercise, he was able to enlist the group leader, Swaranjit Singh Cameotra, as a willing accomplice. Journals these days require multiple authors to state their individual contributions. Khan and Cameotra ‘conceived and designed’ the experiments which were carried out by Khan and the PhD scholars. Data so obtained was placed in the hands of Khan and Cameotra who analysed it and prepared the paper, with the latter taking charge of correspondence with the editors. Note that of all the authors, Cameotra is the only regular employee of CSIR. According to official IMTech sources, Khan has since resigned from the Institute. This cannot be true in a strict administrative sense. Khan was being funded by DBT; IMTech was merely hosting him. If Khan had to resign, his resignation would have had to be accepted by DBT. It may even be that the term of his two-year associateship ended. If he indeed was permitted to resign, it is most unfortunate, because his evidence would have been vital. It now turns out that other scientists at IMTech had viewed goings-on in Cameotra’s lab with great suspicion. According to a Times of India report, it is now being pointed out that according to log book entries, the experimental data was obtained in two months’ time, whereas a genuine experiment would have required at least six months. There have even been doubts whether the instruments required for generating the type of data reported are available in the Institute. The international prestige of Indian science would have been enhanced if the exposure of the fraud had come from within the Institute. As it is, it was left to Jim Spain to blow the whistle. It goes to CSIR’s credit that once the fraud was brought to its notice, it immediately verified the facts and asked for retraction of the fake papers. This alacrity stands in sharp contrast to the situation prevailing two decades ago when a Panjab University paleontologist, Viswa Jit Gupta, was lightly let off by the University even though serious charges of falsifying numerous fossil discoveries in the Himalayas stood proved. CSIR has now charge sheeted Cameotra. Government disciplinary proceedings are a long-drawn affair. One hopes that CSIR would follow the case to its logical end. It should be kept in mind that eventually even if the fraudulent scientist is held guilty, quantum of punishment can vary drastically: from mere stoppage of annual salary increment to outright dismissal. Since administrative rules are clearer cut and well-tested compared to scientific rules, it needs to be pointed out that IMTech would have paid publication charges for getting retracted papers published. A scientist submitting fraudulent research for publication and asking the government to pay for it is guilty of causing loss to national exchequer. Scientific misconduct is of various types. Falsification of data is a far more serious offence than plagiarism. There is need to brand serious scientific misconduct as crime. If this were already the case, Khan could have been summoned to give evidence. The most sordid part of the recent elaborate fraud is the misuse of PhD scholars. The most important task of a scientist or an academic is to mentor the young generation. Here, the seniors for their own selfish ends are converting young scholars into criminals. Young bright men and women enroll at a prestigious institute to advance their careers by enriching science. While many of them are no doubt tempted by the shortcuts their seniors offer, others may be too scared to blow the whistle. Serious scientific misconduct like fabrication of data should be recognized as a crime. At the same time, it is important to create a system which encourages whistle blowing and protects whistle blowers. Finally, a fundamental point needs to be made. Throughout the world, there is an excessive pressure on scientists to do high-impact, world-class research. First we create rat race for scientists and then complain that they have become rats. During the Second World War, in view of the snapping of communication lines, the colonial rulers asked the Indian government to take up the task of “supplying the technical equipment of a modern army”. The government decided to conduct research under its own auspices, and more importantly, to fund scientific and industrial research in centres outside its system. History chose the hour and the hour produced the hero. 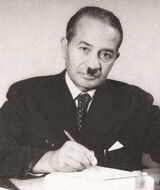 Shanti Swarup Bhatnagar, then a professor at Punjab University, Lahore, was appointed the director of scientific and industrial research in 1940. The same year an advisory board of scientific and industrial research was set up to receive and appraise research proposals from universities, industry and trade. On March 12, 1942, the Council of Scientific and Industrial Research was established, which was later transformed into a vehicle for industrial development by prime minister Jawaharlal Nehru. The old timers would recall with a chuckle how Bhatnagar would meet Nehru during the latter’s morning walk, get approval for a new laboratory and have the paper work ready by the time office opened. Bhatnagar held a number of important posts. He was secretary to the government in the ministry of natural resources and scientific research, secretary of atomic energy research and chairman of the University Grants Commission. He was a bridge between two cultures and two eras. He was a chemist as also the author of the ceremonial Sanskrit hymn of the Banaras Hindu University. He was proud of the honours bestowed upon him by the British government while, as a government servant, he had the courage to publicly touch the feet of the Congress president in 1942. If science was his passion, Urdu poetry was his refuge. Q: Bhatnagar was an avid writer. What did he write? Q: What was his reaction when he learnt about plagiarism by a fellow professor in BHU? Q: Who called his association with Jawaharlal Nehru the “Nehru-Bhatnagar Effect”? He was greatly influenced by the Brahmo Samaj in his formative years.He was very attached to his wife, Lajwanti. A romantic at heart, he nursed the hope that he would take to farming after retirement and his wife would bring him lunch and a pot of butter milk in the fields. Shanti Swarup Bhatnagar (1894-1955) was, in a way, a bridge between two cultures and two eras. He came at a time when science was greeted with a sense of mission, but literature was still valued. Encouragement and recognition were sought from the colonial empire, not as an end in itself, but as a prelude to nation building. An internationally acclaimed chemist, Bhatnagar wrote Urdu poetry under the aptly chosen pen-name of Seemab (meaning mercury) and went on to compose, in Sanskrit, the ceremonial hymn for Benaras Hindu University. Notwithstanding his knighthood and the official position of Director (since renamed Director-General) of Council of Scientific and Industrial Research, Bhatnagar had the courage to publicly touch the feet of the Congress president on the latter’s release from jail. If the chemical industry, along with its derivative the pharmaceutical, is an important part of Indian economy today, it is in no small measure due to the scientific and managerial efforts of Bhatnagar who half in jest claimed intellectual lineage from the pioneering Indian modern chemist P.C. Ray, Bhatnagar’s teacher having been Ray’s early student. Chemistry was rather a laboured link with Bengal; what exercised great influence on the course of Bhatnagar’s life was the Bengal-born Brahmo Samaj movement. brought this to the notice of [his own father] R.S. science, “delighting in scientific experiment”. Swarup was given a few cane strokes as punishment. opened Dyal Singh College on a university scholarship. death of her husband only to return in 1924 for good. the subject his name is now associated with: chemistry. that he himself was duty bound to go by the textbook? the contents of the Forman Chemical Laboratories. duplicating pads from Germany because of the war. rush to the hostel of Chief’s College, to tutor his ward. requirements, he studied the surface tension of water. surface tension of oils, under the supervision of Prof.
name accompanied by nationality and research topic. England in 1935 after fleeing Nazi Germany). invitation of the founder Pt. Madan Mohan Malaviya. because he had already held them for 15 years. deposits, it coagulated, bringing the operations to a halt. head the government’s war-time science effort. 1943, the post of vice-president was created. Sir M.S. and, equally significantly, was housed in a palace. the Indian Academy of Sciences”, directed by Sir C.V.
Ahmedabad, was designed by the Council architects. India honoured him with a Padma Vibhushan in 1954.
measure.” Heart was a bigger problem than the eyes. agree. Now it was his turn to have a look at my hand. would be devoted to chemistry and “service of Urdu”. If chemistry was his passion, poetry was his retreat. compose verses on scraps of paper and pocket them. from the person of poet Faiz Jhanjhaanvi. 1. Narrated by Mahendra Nath Sahai, son of Bishwa Nath Sahai, whose sister Lajwanti was married to Shanti Swarup Bhatnagar. See Ref. 1, pp 12-13.